Julie is a registered dental assistant and has been with Dr. Woo the past 19 years. Her friendliness and smile keep the patients coming back year after year. She is a San Lorenzo native, having graduated from Arroyo High and Western Career College's dental assisting program. Julie has a daughter, Nicole, who attends college. Julie is a devoted Oakland A’s fan and can be seen roaming the shopping malls when she has free time. She enjoys exploring the coast and has a goal to see all 21 California Missions -- she's up to 6! 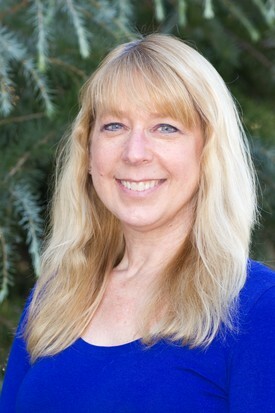 Lily is a registered dental assistant and has been in the dental field for 15 years after graduating from the College of Alameda. 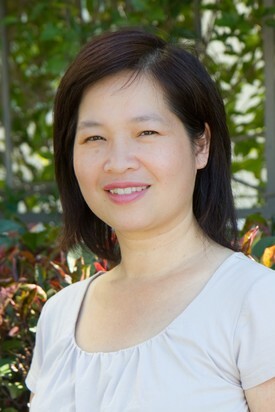 Patients always enjoy Lily’s soft spoken gentleness and comforting skills. Having been born in Canton, China, Lily can speak Cantonese, Mandarin, and Taishan dialects. She has two kids and enjoys music (especially karaoke), reading, walking, and good foods! Jennifer works with all the complexities of a patient’s dental insurance in the front office using her 10 years of dental experience. She was born and raised in San Francisco and is a Giants, 49er, and Golden State Warriors fan. 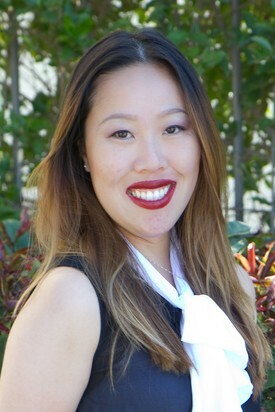 Jennifer is bilingual speaking both English, Cantonese, and learning French! She loves to immerse herself in different cultures and trying new restaurants. Her prized possessions are her shoe and growing passport stamp collections. In her spare time, she does Netflix marathons, hangs out with her two dogs, working on becoming a better animal welfare advocate, and finding her next travel adventure. Melissa works as the patient coordinator in charge of scheduling and inquiries. She is an Oakland native with 5 years of dental experience and speaks fluent Spanish. Melissa enjoys movie nights as well as the arts and crafts with her young daughter. On weekends, she can be seen going on mini-adventures and visiting family in Stockton.